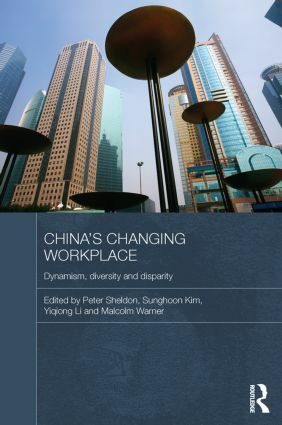 This book explores the diversity and dynamism of China’s workplaces and of the wider labour market experiences of its workforce. Drawing on the authors’ extensive recent research, it considers a diverse range of issues and types of workplaces. These changes include: the continuing spread of market-oriented human resource management across public and private sector organisations; greater employment rights for workers; local diversity in regulatory control alongside the governmental priority of a ‘harmonious society’; persistent shortages of skilled labour co-existing with vast underemployment amongst the unskilled; uneven access to education and training across regions; and changes in union behaviour and influence. Unlike other studies - which tend to assume changes to management, work and employment are relatively uniform across modernising parts of the economy - this book conveys the rich variety among contemporary China’s local labour markets by looking at them, and the institutions that influence them, from the bottom-up. It focuses on other under-explored but emerging phenomena such as family-owned firms, the role of private services businesses, and the emergence of employer associations.